Nearly five hundred years after her violent death, Anne Boleyn, second wife to Henry VIII, remains one of the world's most fascinating, controversial, and tragic heroines. 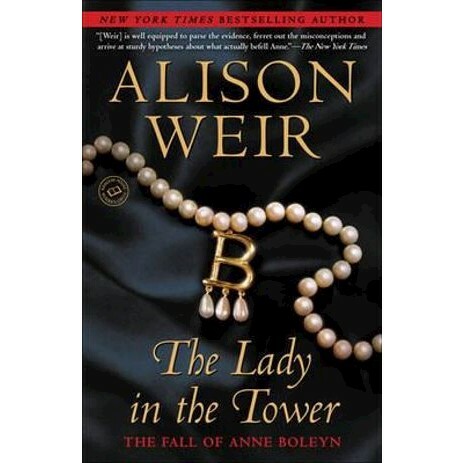 Now acclaimed historian and bestselling author Alison Weir has drawn on myriad sources from the Tudor era to give us the first book that examines, in unprecedented depth, the gripping, dark, and chilling story of Anne Boleyn's final days. Richly researched and utterly captivating, The Lady in the Tower presents the full array of evidence of Anne Boleyn's guilt--or innocence. Only in Alison Weir's capable hands can readers learn the truth about the fate of one of the most influential and important women in English history.